I would be grateful and pleased to receive corrections and additions to these pages. 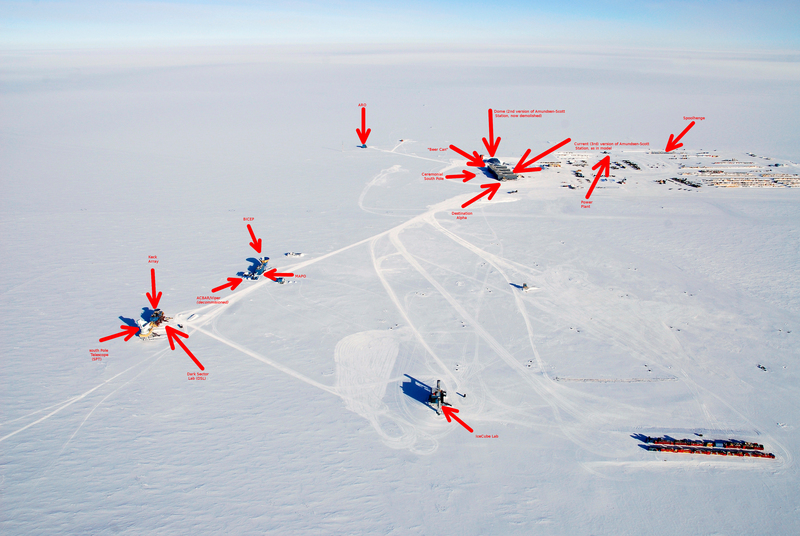 An aerial view of Amundsen-Scott South Pole Station. Sitting on the polar plateau at more than 9,000 feet above sea level, the South Pole is an excellent location for the study of astrophysics. Several telescopes are located in the area in the lower right of the photo, known as the Dark Sector, because it is devoid of radio and light waves during the austral winter. The area at the left is known as the Clean Air Sector as it is upwind from the station. Air monitoring is conducted daily by the National Oceanic and Atmospheric Administration (NOAA).